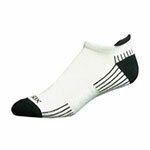 Shop Ecosox products online. Order from ADW Diabetes today! 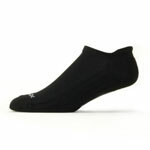 Ecosox is a leader in the production of bamboo socks. They are made in the United States and come in various styles, patterns, as well as colors. Many patients find diabetic socks only in white, and although white socks are good for possible recognition of a foot problem, some occasions call for dark dress socks. Ecosox have an expandable top which increases comfort even when the legs are swollen; they are non-constricting and non-binding, yet they do not fall and bunch up around the ankles like other socks. 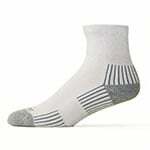 These socks contain added cushioning in the heel and ball of the foot which expands protection as well as adding to the level of comfort. The arch support reduces the amount of fatigue often seen when standing for long periods of time.